It’s award time and my thanks for the encouragement goes out to those who nominated me for the following awards. ThanksHolly Michael’s Writing Straight For the Sisterhood of the World Bloggers Award. As her Blog states, Holly writes, and writes well. There is inspiration and truth in her writing as well as compassion and caring. Take the time to go there and find out. Thank you Holly for this award and the privilege to share the joy of writing, especially writing about our Lord. Wendy at greenlightlady will fill your day with light, a green light of life. Check out the photos and words on life all around us. AmberLea of Alaska’s Blog is in her words: Life was meant for caring and sharing and that is what she does. She draws from her place, Alaska and the life there as well as from her experiences. Adele Konyndyk at http://adelekonyndyk.wordpress.com/about/ is a freelance writer who writes about the connection between faith, art, culture and justice. Darla at ponderings of a princess… Tells it like it is. Deep insights drawn from life experiences and a heart for God are what you will find here. The Lamehousewife Blog will take you on a journey with a single mother with four boys. There is much about a faith that was built through difficult circumstances but shows victory. Take the time to visit these blogs by sisters in the Lord who blog and be blessed. The second award is the thought provoking award. I would like to thank Wendy from greenlightlady for the thought provoking blog. Her blog is truly thought provoking and enjoyable. For a special thrill check out how she wove pictures and a story from the Word of God together. It is truly inspirational and thought provoking. A House is Not a Home Without a Cat at <http://greenlightlady.wordpress.com/2012/08/23/a-house-is-not-a-home-without-a-cat/> It is an honor to receive this nomination. 3. 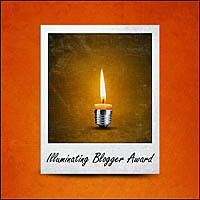 Nominate 7-12 other bloggers you admire and enjoy! 5. Inform each person that you have nominated them. Biltrix Here you will find many thought provoking blogs. Some hopefully will inspire you to action. Holly Michael’s Writing Straight will have you thinking. Check out this blog at her site.Einstein and Christianity. Practical Bible Teaching is sure to provoke you to thinking with this entry in his blog: The Illusion of Reality. Thank you Biltrix you are so sweet to think of me!!!! Check out their site for a sweet variety of posts. Thank the super sweet blogger who made the nomination. Chocolate or Vanilla? Ice cream? Vanilla, candy? Chocolate. If you had a sweet nickname, what would it be? Sweet tea? And for the sweetness award, I nominate the following: Thank you Biltrix for the suggestions. Darla at ponderings of a princess… Tells it like it is. Holly Michael’s Writing Straight writes about life and relationships. Walter Bright Where are you… Where are you going? This entry was posted in encouragement and tagged active, edifying, encouragement, genuine, hope, inspirational, love, peace, sisterhood, strength, sweetness, thought provoking. Bookmark the permalink. ← Lament for Tyre, … lament for New York City? Congratulations for the awards, Gracie! And thank you for nominating Biltrix for the Thought Provoking Blog Award. You are in our thoughts and always in our prayers! Thank you so much, Gracie, for the Super Sweet Blogger Award. Congratulations on your very well deserved awards. Thank you for the nomination. Congratulations on your several nominations and award wins. You are so welcome and an inspiration as well.